It's my one year blogiversary! It's hard to believe that it has been one year since I started my blog. What a wonderful year it has been!! 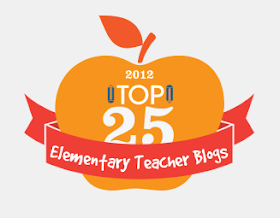 Blogging has introduced me to some super teachers and helped me to become a better teacher. So why not celebrate!! What better way to celebrate the "paper" anniversary than with a $50 Erin Condren gift certificate?? I was introduced to Erin Condren products shortly after I began blogging. I LOVE her products!! One of my favorites is her lesson planner. You can see it for yourself here. Don't you love it?? Want one for yourself? Go ahead and enter my giveaway today and everyday until June 18th!! Thanks so much for following my blog!! I have dreamt about these products for a long time! Happy Blogaversary. You have such a cute blog. Thanks for the chance to win products from Erin. Happy Blogiversary! A year is quite an accomplishment! Happy blogversary! What a great giveaway! I've heard a lot about Erin Condren, would love to be able to have a planner! Yay! I have never gotten anything Erin Condren. What a great giveaway! Congrats! 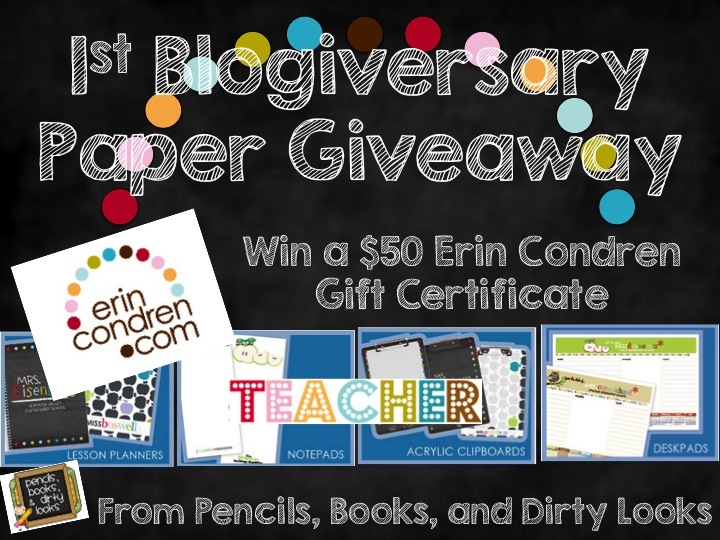 I'm too cheap to buy an Erin Condren planner, but I would LOVE to win one! I'm way too cheap to buy the EC planner, but maybe I can win one! Happy Blogiversary! Thanks for the great giveaway! What a fun giveaway! It is perfect for all of us teachers. Congratulations on your blogiversary! Thanks for the fun giveaway! I can tell you've worked super hard during your one year of blogging! I have been wanting to try Erin Condren. This would be perfect! OOOOhhhh, I love her life planners! Congrats on your one year anny! Congratulations, Aimee! Thanks for the great giveaway! What a wonderful way to celebrate this milestone! Congratulations! What a wonderful milestone to reach. Ooooo I was just looking at the Erin Condren planners today! Great giveaway! I am also running a giveaway! Make sure to check it out! And congrats on one year!! :) :) Thanks for the opportunity to win! I absolutely LOVE your blog and your style! Thanks for all you do! Just got my Teacher Lesson Plan Book and I love it! THanks for the awesome giveaway! Happy Blogiversary!! My 1 year was last week! I have enjoyed celebrating it. This is a great giveaway! Thank you for hosting it! Happy Blog-a-versary! I've never had a Erin planner but they look beautiful! I bought an Erin Condren teacher's planner in 2011 before I even finished my student teaching! I just got my first job (3rd grade) and have finally begun filing out my planner, yay! I LOVE it! I must have another one for next year; they have upgraded them so much for this year! Congrats on your blog-a-versary! I love all things Erin Condren - such a great giveaway! Wow! Happy blogiversary! Thanks for the great giveaway. Congratulations!! Thank you for this opportunity!! Congratulations on your blogiversary! Thank you for celebrating with us! Happy Blogiversary, Aimee!! Congrats on one year of blogging! You are an inspiration to me and to others around you and I'm so happy to have gotten to know you! Love your blog! I am your newest follower! :) I so hope that I win this giveaway. I have always wanted one of the life planners but I am too poor to buy one, lol. Thanks for such an awesome giveaway and congratulations on your one year anniversary! Congratulations! I just love your blog! Thank for hosting such a great giveaway as well! Happy Blogiversary!! I would love to win! I have been wanting to try the Erin C. planners and I just can't afford it. I would LOVE LOVE LOVE to win!! Congratulations! I just ordered my planner! Congrats on your 1 year! I love Erin Condren!!!!!! I'm obsessed! Congrats!! I love your work and have won from your blog before. Thanks for an awesome giveaway! Happy blogiversary! What a great giveaway! Hope I win! I love that lesson Planner!!! Awesome giveaway Aimee! Happy Blogiversary! :o) I LOVE Erin Condren! Love the table! Fingers crossed! Happy Blog-versary! I'd love to win! Happy Blog-versary! Great blog I am glad I found you! I found your blog because of this give away. I'd love to get a planner. But I'm also really glad I found your blog and am now following your store. Congratulations on your 1st Blog anniversary! FABULOUS giveaway...I hope I win! I've had my eye on Erin's Teacher Planner! Love you and your blog! Congrats on your 1 year! Thanks for the awesome giveaway. Congratulations! Thanks for a fun giveaway! Hi Aimee! I love Erin Condren- great giveaway! Happy Blogiversary to you! What an awesome giveaway, Aimee!!! I can't believe you have only been blogging for a year! Happy Anniversary and thank you for all the inspiration! Happy Blogiverasary! I'm approaching my one year this summer too. I don't know how you all do it. I'm at the 300+ followers but you have over 600. Good for you! Congratulations! Congrats!!! This is a great giveaway! Congratulations on your one year anniversary! I'm also in Indiana and teach Second Grade. Congratulations on your one year anniversary! What a wonderful way to celebrate it with an awesome giveaway! I would absolutely love to win! Thanks for the opportunity! This is a wonderful giveaway. I am crossing my fingers and toes. I hope I win. Congratulations! This is a great giveaway! Congratulations on 1 year! Erin Condren giveaways are so amazing! Happy Blog Anniversary! I don't have one of her planners yet. I'd love to win! I LOVE those planners!!! They have been on my wish list! There is so much on her site that I love! Today is my first day of summer vacation and I am sitting inside because of a severe thunderstorm. I have to quit watching the news because they have had me worried about it all day. Congratulations on one year. I love her planners. Would love to win one. Thank you for having this giveaway. Congrats! I just got my Erin Condren teacher planner and it is fabulous! I'm now looking at the life planner (among other things). Congrats on One Year! Thanks for the giveaway! Glad to find your blog!! Congratulations on one year! I would love to try out a planner! Fun giveaway! Love your blog! 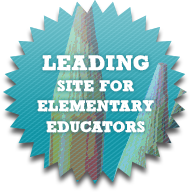 great teaching ideas :) hope to win such a fun giveaway! I just got my first Erin Condren teacher planner in the mail yesterday and I love it!! :o) Your blog is great! So excited to find your blog...love Erin Condren's planners! Congratulations on your 1 year blogiversary!! Happy Anniversary! Congrats on 1 year! Happy Blogiversary!! I've been drooling over the Erin Condren planner for a while but haven't convinced hubby yet. Thanks for this great opportunity!! I'm your newest follower! Stop by mysecondgradejournal to check it out. Happy blogiversary! Congratulations on your one year anniversary. This is a wonderful accomplishment! I'd love to win this! Happy blogiversary! Congrats on your anniversary. I absolutely LOVE Erin Condren planners. They help me stay very organized and I love to color code everything due to its importance level. I have been so interested in the Erin Condren planners! How exciting! Congrats! Great Giveaway! 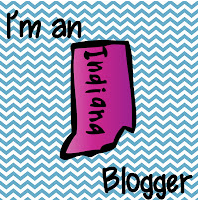 Happy Blogiversary...Love Erin Condren!! Yay for 1 year with many more to come!! Happy blog anniversary! Congrats on blogging for a full year. I would love an Erin Condren gift certificate in order to give an EC lesson planner to my son's amazing teacher! Thanks for the giveaway. I want to start a blog but really don't know what I would say all the time...LOL Congrats on 1 year! Congratulations! Thanks so much for the chance to win! Sooooooooooooooooooo excited that I found your blog and the chance to win! Greta giveaway! I love your blog! AWESOME! Thanks for the GREAT giveaway!!!! Wow! What a great Lesson Planner! Congrats on you one year of blogging. Your blog is so cute! Congrats on 1 year! My friend just bought an Erin Condren calendar, and I was SO impressed! Great giveaway! Happy BLogiversay!! I'd love to win this giveaway. Erin Condren's things are so cute!